Teenagers are a fickle bunch. They want something really badly one moment and don’t care about it at all the next. This is one of the reasons that teenagers are notoriously bad at managing their money: everything feels like "The Most Important Thing Ever" in the moment. 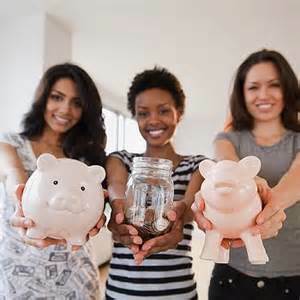 So what do you do to ensure that they learn how to responsibly manage their money? Instead of talking your teens out of wanting something or simply refusing to allow them to use money they've earned to buy whatever it is, insist that they do some research to find out whether it can be purchased on sale, with a coupon or as part of a deal. For example, teach them how to find the leaked Black Friday adds 2013 early (some deals are already out for some shopping outlets) and coupon codes for the things they want. It might be hard to drive home the point that “expensive” doesn't automatically mean “more cool.” Instead, to use one example, she can use The Gap coupons for that sweater she’s been coveting which will help free up part of her allowance to be spent on a matching accessory. Once your kids get old enough to earn their own money, convincing them not to spend it on something stupid is going to be a lot more difficult. After all, if they worked to earn it, why not spend it on what they want? It’s the same logic that you use for the things you buy for yourself, right? Instead of fighting the urge to prevent them from spending, make a rule about saving. From the time you start giving them their first allowance (or paying them for extra chores), require that they save a certain percentage of what they “earn.” This way it will already be a habit when they have after school jobs or are earning money around your neighborhood. It’s still a good idea to keep the rule in place, though—just in case! If your kids are old enough to go out and earn their own spending money, they are old enough to have to buy the things they want (that you may or may not approve of) themselves. Sure you want to keep them in the basics: food, clothes, shelter. Beyond that, though (or if those get out of hand) make it a rule that your kids buy things for themselves. This seems really straightforward but what will be hard is when your kids save up most of the price of something but still want your help paying for the rest. This is when you need to dig in. Encourage your kids to keep saving. If you step in and “save the day” whenever they’re a little short on cash, they won’t know how to be resourceful when, as an adult, something costs more than they planned or if a paycheck doesn't look like it is going to stretch as far as they’d like. It’s hard helping your kids become independent. By teaching them how to find deals, how to save and not allowing yourself to be a money tree, though, you’re on the right track!